The this edition of Valkyria Chronicles Remastered includes a “Limited Edition Squad 7 Armored” Case. 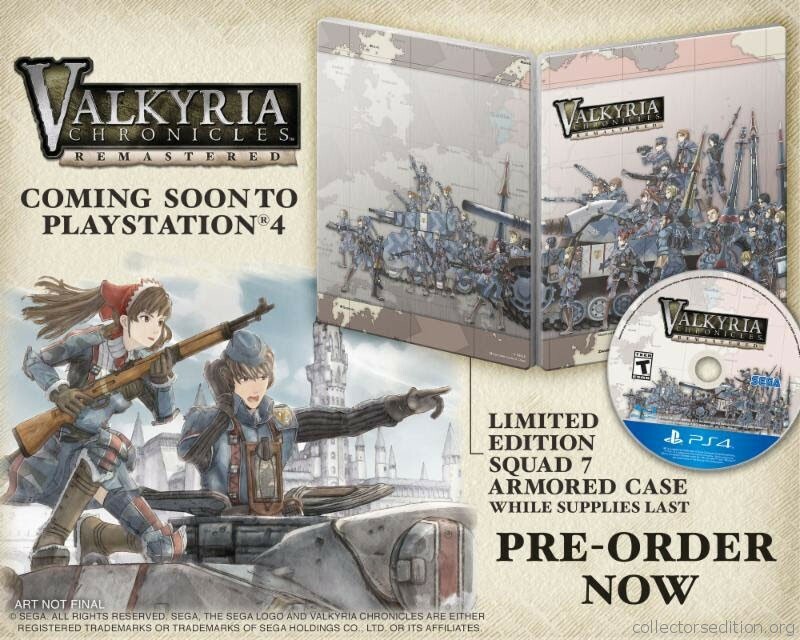 This is a First Edition release meaning that all pre-orders and day one purchases are automatically upgraded to this edition. This entry was added to the database on Friday, February 5th, 2016 at 7:46 pm by THEREALDEALDUDE. This information was last updated on Thursday, May 12th, 2016 at 9:17 pm by .